You can use the Map Settings fly-out menu to control how the GAP Portal map is displayed. It's also how you access various tools to help you in your use of the map. The Overlays tab allows you to control what map overlays are displayed. You can also choose to display geofences, points of interest and any KML layers you may have set up. Note: some overlays may cover only some parts of the world. Please contact us for more information. 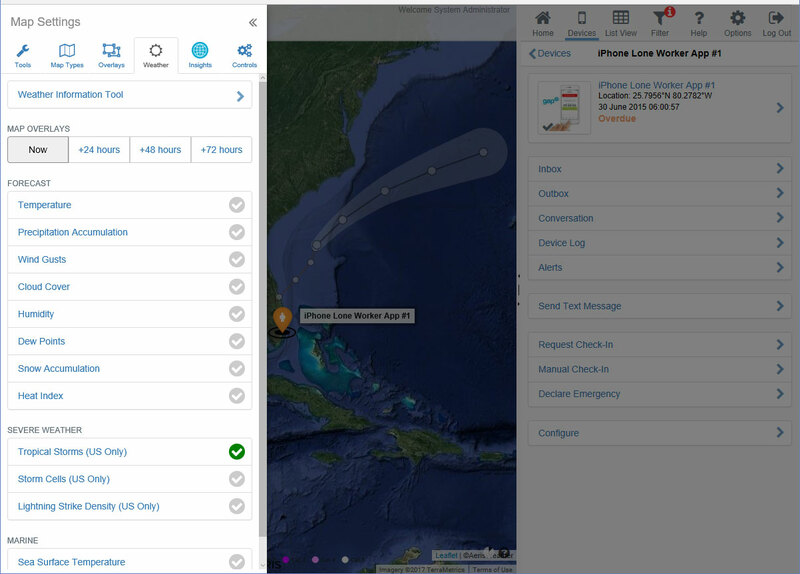 Some maps allow you to use the time control to show forecast data for up to 3 days ahead. You can also use the Weather tab to access the Weather Information Tool. 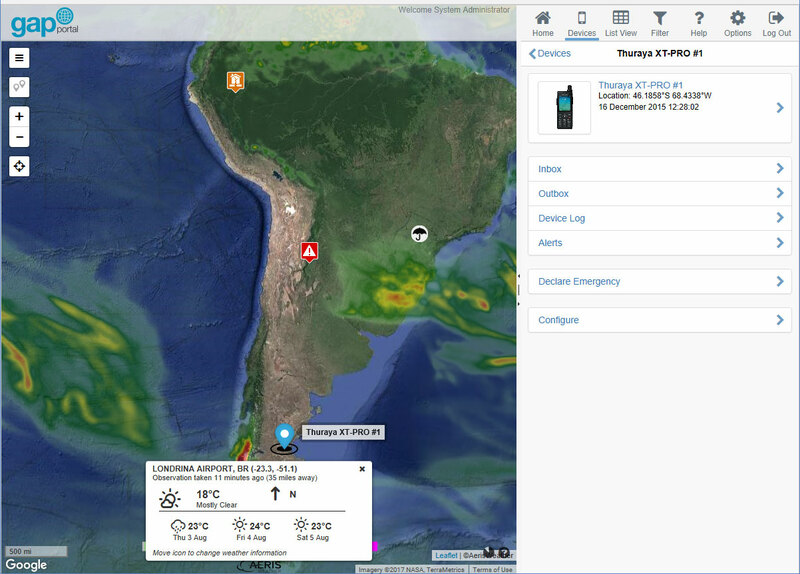 This tool allows you to drop a pin on the map and display the most recent weather observations and 3 day forecast from the weather station nearest to that location. Note: If there is no weather station in the vicinity of the place where you have dropped the pin, a warning may be displayed indicating that no data has been found. Note: having a large number of map tools enabled may reduce performance on some older computers.